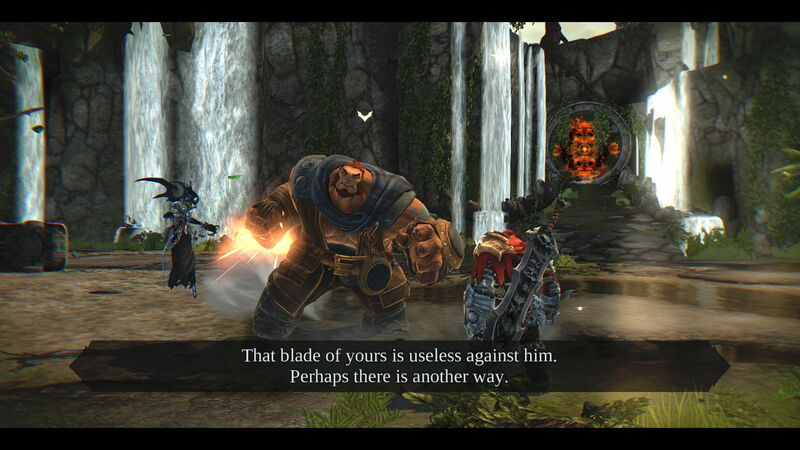 2010’s Apocalyptic (that’s with a capital A) hack ‘n’ slash Darksiders [official site] is being revamped for a prettied-up re-release, like its sequel already has. 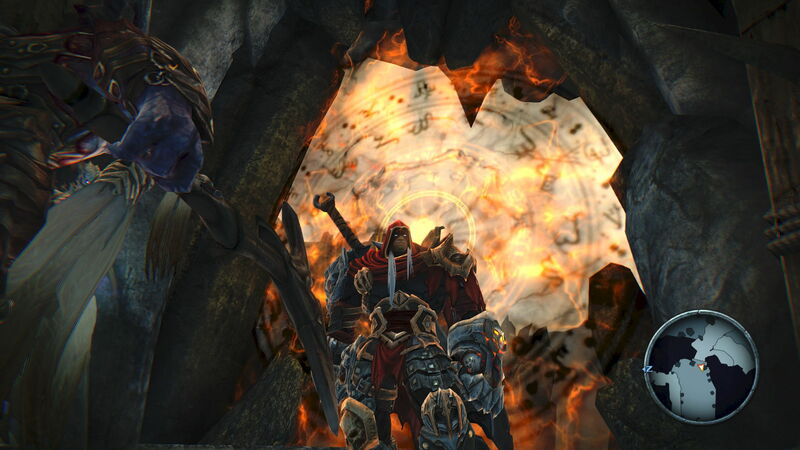 And like the sequel with its ‘Deathinitive Edition’ subtitle, Darksiders is picking up a dreadful title: the Warmastered Edition. Like ‘remastered’, yeah? But War because the game’s about that surly fella out the Four Horseman? The preponderance of puns is the surest sign of the impending end times, if you ask me. But this surely brings us closer to a Darksiders III? This re-release is mostly for the benefit of consoleers, bringing Darksiders to systems which never saw it the first time, but it’s nice we’ll see it too. 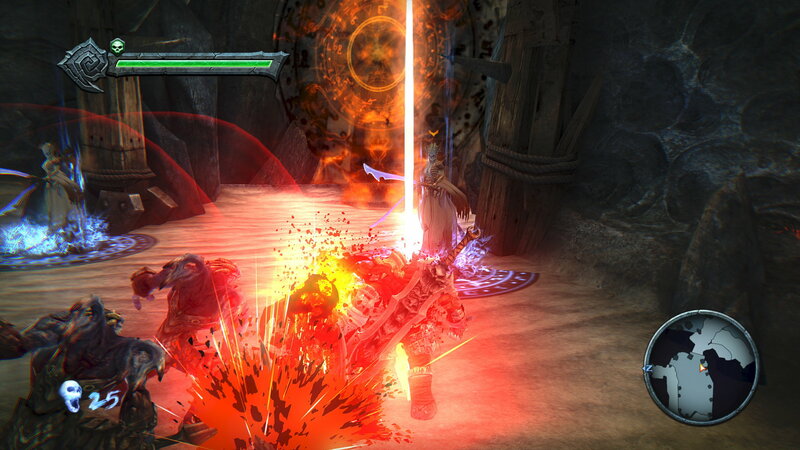 The fancying-up is being done by Kaiko, folks who worked on the Xbone edition of Darksiders II Deathinitive. Darksiders Warmastered Edition is due on October 25th. It’ll cost £14.99/19,99€/$19.99 and you’d imagine it’ll offer a discount to current Darksiders owners, like D2 Deathinitive did? Nordic have said they plan to make Darksiders III one day. Having the first two games out on all modern systems is a fair way to build interest towards that goal.